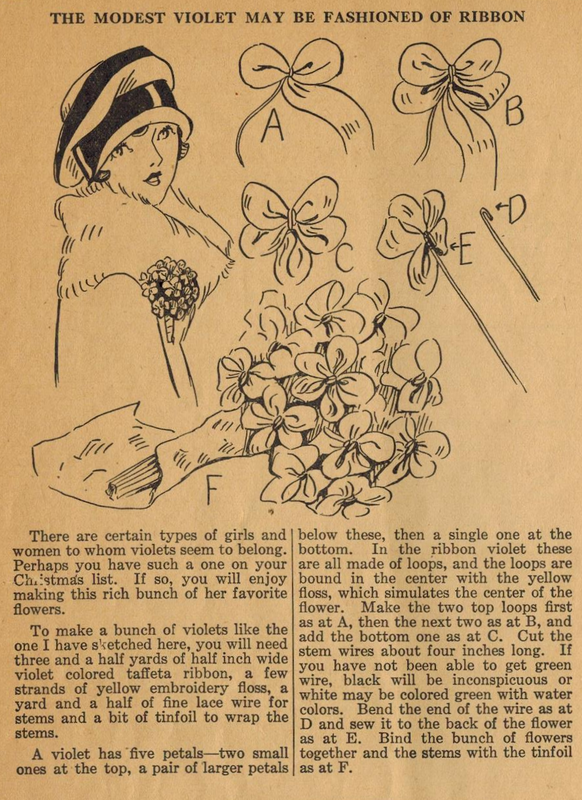 A charming nosegay of violets are yours with little effort if you try this tip from Ruth Wyeth Spears and the 1920s. It's as simple as violet-hued ribbon and yellow embroidery thread for the flowers and fine wire for the stems! It is interesting to note that Ruth suggests wrapping the stems in tin foil (aluminum foil), but feel free to use the covering of your choice!